We designed this women's CrossFit Paddle Tee for those who love variety and trying new workouts. Anti-chlorine benefits built into the fabric ensure your pool readiness. 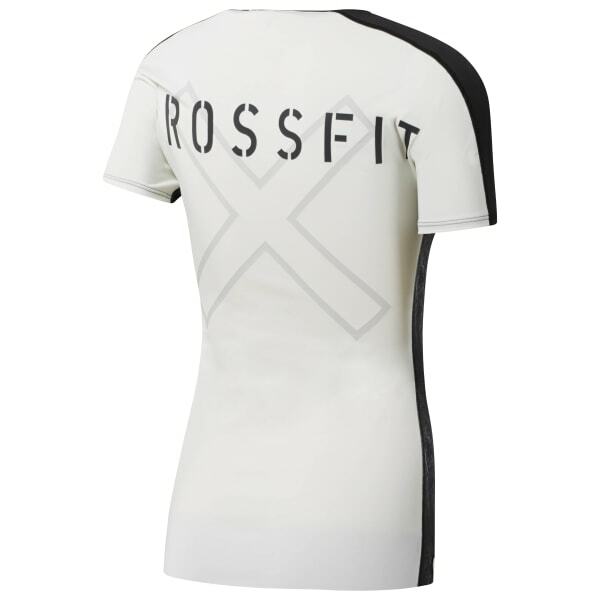 The compression fit supports your muscles and the rash guard design reduces abrasions to keep you comfortable. Focus on your workout while bonded mesh panels secure your fit at the hem.